How split testing can help you achieve email success! Truth is, we all want more email conversions. How do we get them, you ask? Well, Split Testing is only one way to achieve email success, but it’s certainly an effective one. Split testing, also known as A/B testing, is the process of creating two or more different versions of the same content in order to see which one performs better. In our case, creating different versions of the same email to see which one generates more custom. There are literally hundreds of different ways to split test once you get the hang of it. In this article, we’re going to discuss five of the best. There’s more than one way to say “change your wording“. What I mean is, there’s more than one way to say “rethink what you’re writing“. What I really mean is, there’s more than one way to say “implement word changes“. …you see where I’m going. There are so many different ways to say the same thing, and split testing allows you to find the most appropriate one for your recipients in order to increase the success rate of your emails. Of course, the only way to see which one of the above is most effective for your email list (if any), is through split testing! Another way to change your wording with split testing is to send out an email written in a paragraph format, and then the same email written as bullet-points to see which is most effective. Just like different phrases appeal to different people, the same can be said for designs. The emails below were sent to the same user, from Amazon. The first email isn’t very text heavy, asking the user one question. 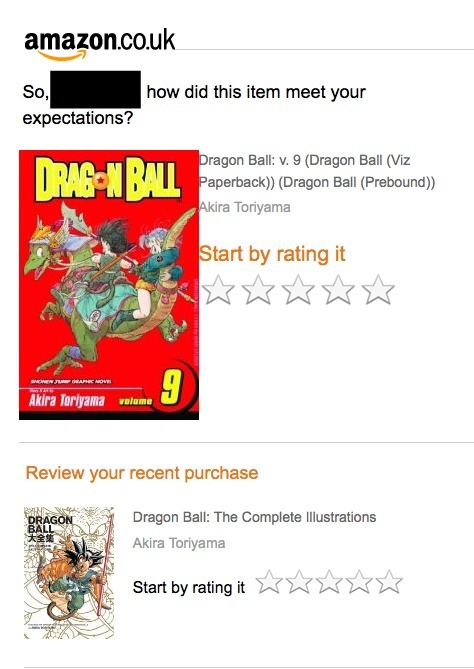 The next email is laid out differently with more questions, and more explanations about the review process. This is a perfect example of split testing, and demonstrates how different designs appeal to different people. Personally, the second example appeals more to me, what about you? 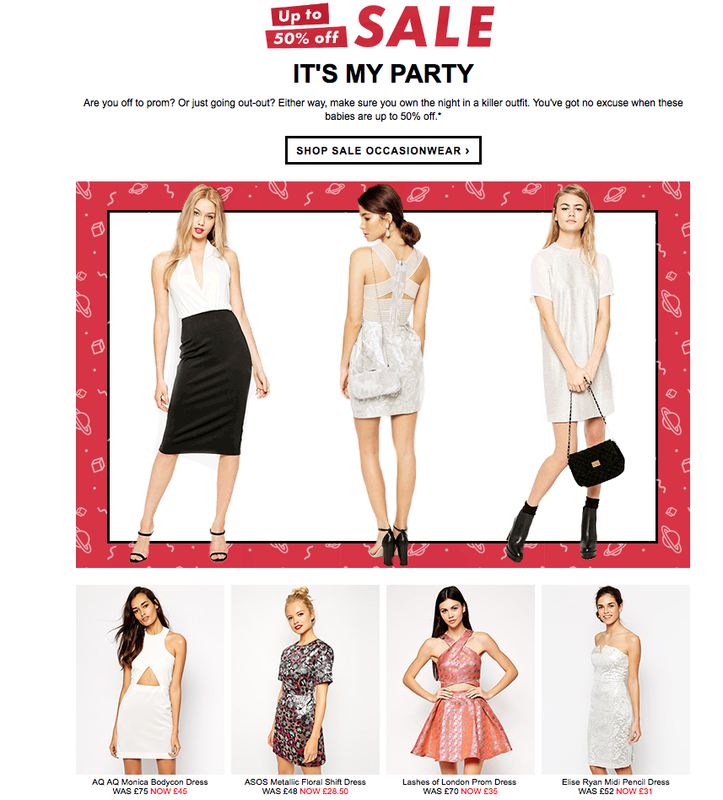 Without split testing, email marketing is basically guess work. You’ll never know why your emails are being ignored until you split test and see if you can find something more appealing to your users. 3. Media or text heavy? The world appears to be more and more visual these days so you may think that the obvious choice is to create media heavy emails. It makes sense considering that there are statistics flying around like ‘Click-Through Rates Increase 2-3 Times When Marketers Include A Video In An Email‘. So more of their customers actually preferred a text-based email to a media heavy one! This is another perfect example of why it is so vital to split test, never assume that your customers are just like the masses, everyone is individual and it is important to treat them that way when sending emails. Engagement levels should also come into play when split testing your emails. If you have a group of customers who buy with you a lot and always open your emails then they should be marketed in a completely different way to those that never open your emails. You can also click here to see the full email, complete with animated gifs. 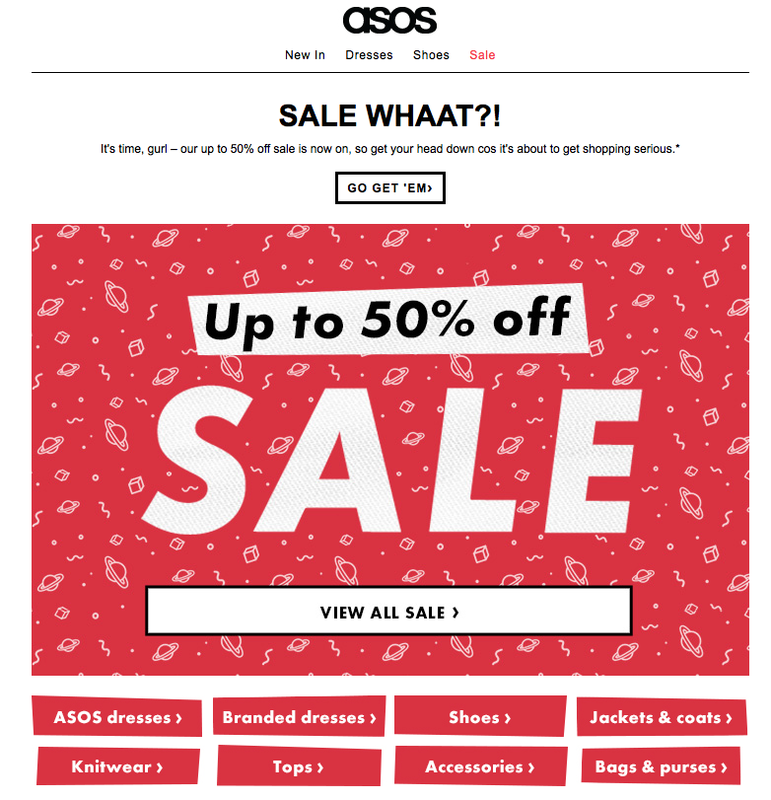 The first email was more targeted and engaging because Asos know what kind of customer this person is, what they like, and more importantly what will push them towards converting. The second email is a bit more generic, and rightly so. Asos do not know this customer well enough to judge their likes and dislikes, so they have added more links to a variety of different sections within their store. Your call-to-action is the most important part of your email. After all, it’s why you wrote the email in the first place! Therefore, it’s important to get it spot on in order to achieve email success. You can also change the design. For example testing between a text CTA, or a button CTA. And, you can delve even deeper into your testing, for example, if you’re using a text CTA, what size should the font be? And, if you’re using a button, what colour should it be? Engagement levels should also determine what your CTA looks like because different people will respond to different CTAs. As I said in the introduction, there are hundreds of ways to split test, and you can take it as intricately as you want. For example, you can even split test your greetings to see which work best, ‘Hey man‘ and ‘Dear Mrs…‘ will have very different results. 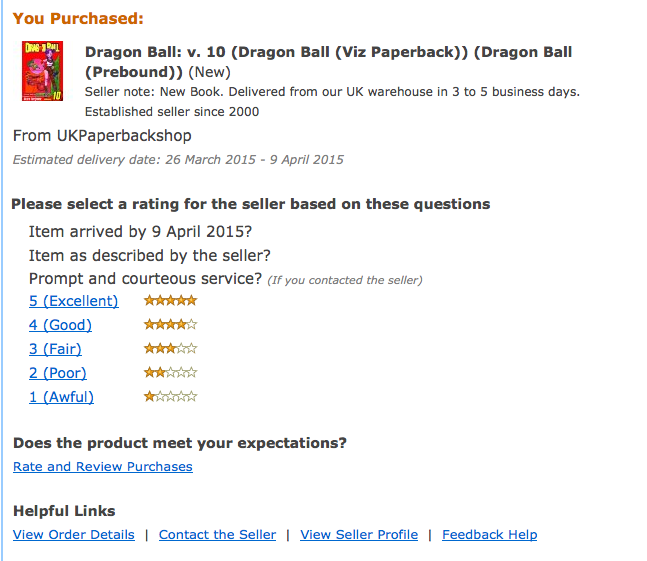 You can also add reviews at the bottom of your emails to ask your customers what they prefer to see from you. After all, if you don’t ask, you won’t know! The most important thing to remember about split testing is that it is never final. Split testing is a continuous effort, what worked last year might not work this year so you have to adapt your emails in order to keep those all important click-through rates high!